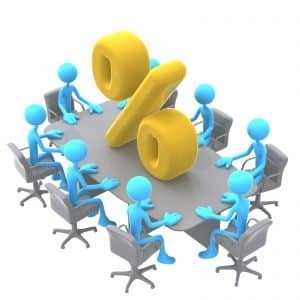 It’s no surprise that the Reserve Bank of Australia has decided to keep interest rates on hold – the ‘steady as she goes’ attitude was predicted by economists leading up to the board’s monthly meeting. This is partly because the RBA is driving a supportive environment for business development, partially because inflation remains within their target range and partly because the housing market remains buoyant. It may also be due to the fact that the governor of the RBA, Glenn Stevens, gave an extremely uplifting overview of the Australian economy when speaking at a conference in Hong Kong last week. Governor Stevens said that that there are “encouraging handover signs from the mining sector to an improvement in other areas, such as business conditions and housing”. He added that both households and businesses are beginning to spend more, pointing to a surge in confidence. “Interest rates are very low and savers continue to look for higher returns in response to low rates on safe instruments,” Mr Stevens observed. On top of this, February has shown extremely positive signs for the Australian labour market with a healthy increase of 47,000 for overall employment and 80,500 for full-time employment. This upbeat news may be music to the ears of people who are looking to make a move in the housing market as interest rates remain at historic lows. If you’re one of them, find out what your options are by giving us call. Confidence in the economy is rising.